[S160] Www.fergusonfamilytree.info, online unknown url. 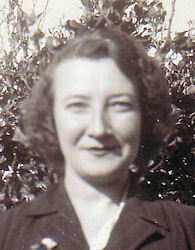 She died on Monday, 29 December 1958, aged 83 years, 2 months and 12 days, in Eastwood, South Australia , She had been living in Everard Park before going to hospital. He died on Sunday, 14 January 1951, aged 52 years, 6 months and 1 day, in Springbank, South Australia , He had been living in Clarence Gardens before going to hospital.